The CNN anchor said DeGeneres does not speak for the community at large, and that Hart has not shown he's an ally. 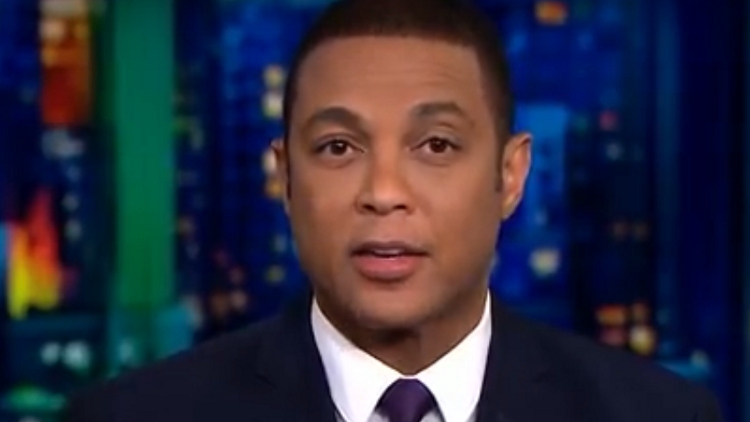 Don Lemon used the Friday episode of his CNN show to weigh in on Ellen DeGeneres declaring she's forgiven Kevin Hart for his past homophobic tweets. On her eponymous talk show, DeGeneres recently allowed Hart to respond to the antigay controversy. Hart portrayed himself as a victim for old tweets and jokes of his resurfacing, some of which called for violence against gender-nonconforming children; his past behavior and refusal to apologize for it evenutally led to him stepping down as host of the 2019 Academy Awards. DeGeneres was placated by the dodgy interview and later tweeted she's forgiven Hart and said he should be given the job as Oscar host. Like many, Lemon is not satisfied with Hart's handling of the scandal -- or DeGeneres acting as if she's the decider on who is forgiven and who's not. Lemon acknowledged Hart apologized after he stepped down as Oscar host, but reminded viewers that he previously refused to apologize and never in the many years that have transpired since the 2009 and 2010 jokes and tweets offered a substantial denunciation of the homophobia. "I don't see any meaningful outreach to the LGBT community," Lemon said of Hart. "Apologizing and moving on does not make the world a better place for people who are gay or who are transgender. Being an ally does." Backing up Lemon's assertions were facts about the dangers for LGBTQ black youth -- 44 percent of homeless gay youth are black, and 62 percent of homeless transgender youth are African-American, according to the Center for American Progress.